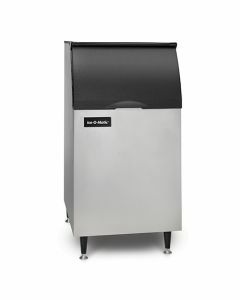 'Full' Cube' or 'Half' Cube' Ice - This ice machine can be ordered to produce either 'Full' or 'Half' cubes. Unique Dual Exhaust - Air-cooled machines are designed to discharge hot air from both the side and top of the unit, increasing installation flexibility and reducing the potential of an obstructed exhaust. High Volume Ice Production - Produces up to 240Kg/ 24hr. Plastic Food Zone eliminates hard-to-clean areas allowing for effortless wipe down and easy, long-lasting sanitation. Built-in Agion® ensures unbeatable antimicrobial protection. Universal Smart Harness™ - Universal Smart Harness™ control board simplifies installation and servicing with better access, digital diagnostics, universal components and common configuration. 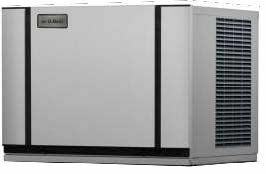 Ice-O-Matic, an American manufacturer of commercial ice machines, designing and manufacturing machines in Denver Colorado since 1952. Ice-O-Matic has worked tirelessly to develop, enhance and perfect the way ice is created and served. Ice-O-Matic have developed an innovative food safe anti-microbial compound that is permanently integrated into all essential food-zone areas, safeguarding the sanitation of the ice making system whilst advanced water filtration eliminates unwanted taste and odour so only pure ice is produced. 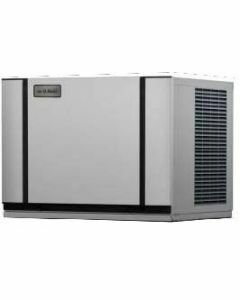 The practical design of ice-o-matic ice machines means they are thoughtfully designed for simple use, packed full of standard features such as an easy-access cabinet, easy-to-clean ice making system and simple electro-mechanical controls. This helps to ensure long-lasting performance, quality and reliability – a promise of quality that is backed by a long commercial warranty.